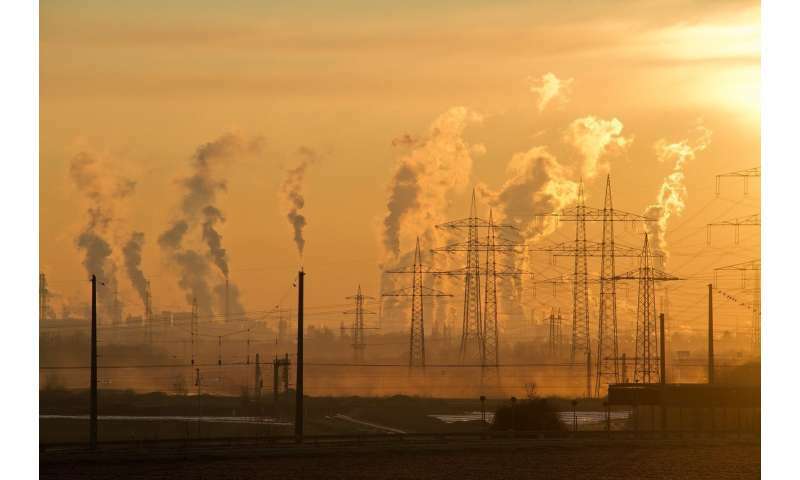 University of Stirling experts have discovered new evidence of the link between air pollution and cancer as part of a new occupational health study. The team, from the Faculty of Health Sciences and Sport, analysed the case of a woman who developed breast cancer after spending 20 years working as a border guard at the busiest commercial border crossing in North America. The woman was one of, at least, five other border guards who developed breast cancer within 30 months of each other and, at another nearby crossing, a cluster of seven other cases was noted. Dr. Michael Gilbertson, who worked with colleague Dr. Jim Brophy, said their findings "infer a causal relationship" between breast cancer and very high exposures to traffic-related air pollution containing mammary carcinogens. A link between nightshift work and cancer was also identified. Dr. Gilbertson said: "This new research indicates the role of traffic-related air pollution in contributing to the increasing incidence of breast cancer in the general population. "With this new knowledge, industry and government can plan for new designs for industrial and commercial facilities to cut down on the occupational exposures to traffic-related air pollution and for scheduling shift work to minimise disruption of sleep patterns." Drs Gilbertson and Brophy focused on the worker compensation case of the woman, who was employed by the Canada Border Services Agency for two decades at the Ambassador Bridge, which crosses the Detroit River between Windsor, Ontario, and Detroit, Michigan. The bridge – the busiest commercial border crossing in North America – carries 12,000 trucks and 15,000 cars each day. The air pollution is severe and border guards in the traffic booths inhale many carcinogens, including those that result in breast cancer. The woman – one of at least five colleagues who developed breast cancer within 30 months of each other – was diagnosed with her first bout of breast cancer at the age of 44 and second at 51. Notably, another cluster of seven cancer cases occurred at a second crossing point, the Detroit-Windsor Tunnel, which lies four miles from the bridge. The cluster of cases in staff at the bridge was 16 times higher than the rate in the rest of the country – there is less than a one in 10,000 probability that this could have occurred by chance. In addition, the clusters were characterised by breast cancer cases that were early onset and premenopausal with recurrences. The scientists analysed the circumstances of the case – heard by the Workplace Safety and Insurance Appeals Tribunal (WSIAT) – by applying the Bradford Hill criteria – a group of nine principles that are useful in establishing epidemiologic evidence of a causal relationship between a presumed cause and an observed effect. The criteria considers strength, consistency, specificity, temporality, biological gradient, plausibility, coherence, experiment and analogy. The case focused on whether the woman had a genetically inherited predisposition to develop breast cancer because of dysfunctional BRCA1/2 tumour suppressor genes. It was found that her BRCA1/2 tumour suppressors were not working – but that was not connected to her inherited genes. This condition is known as "BRCAness" and is sporadic, rather than an inherited breast cancer. The Stirling team investigated whether the dysfunction was potentially caused by occupational exposures to pollution. A review of previous research confirmed that BRCA1 can be "silenced" by exposures to dioxins and polycyclic aromatic hydrocarbons – both found in exhaust fumes. In addition, other research has shown that BRCA2 is rapidly degraded in the presence of aldehydes – also components of exhaust fumes. "There is much more research to be undertaken," Dr. Gilbertson said. "But we now have plausible mechanisms for inferring how the BRCA1/2 tumour suppressors in this highly-exposed border guard became dysfunctional and likely contributed to the ongoing epidemic of sporadic, early onset, premenopausal breast cancer among her colleagues. "These outbreaks of breast cancer represent a new occupational disease that we are provisionally calling 'occupational BRCAness'." The front-line workers also identified nightshift work as a potential contributing factor to their high incidence of breast cancer. Drs Gilbertson and Brophy considered whether nightshift work might exacerbate the exposures to mammary carcinogens in traffic-related air pollution. They pointed to a previous study involving rats that found those exposed to continuous daylight developed tumours 36 per cent faster – and had 60 per cent more tumours – than those subjected to a normal photoperiod. Significantly, the WSIAT rejected the woman's case. Reflecting on the findings, Dr. Gilbertson continued: "Reweighing the scientific evidence using a consensus medico-legal framework – the Hill Bradford criteria – enabled us to show the amount of evidence that the WSIAT had ignored in dismissing this worker compensation case." He added: "This kind of forensic research depends on asking new questions based on conclusions from the existing evidence and a willingness to follow leads into unfamiliar areas of science. "The gratifying part was to find that other scientists in other disciplines had already supplied credible answers that could then be assembled into the Hill's framework of indicia for this specific case which can explain the clusters." Does your job increase your breast cancer risk?